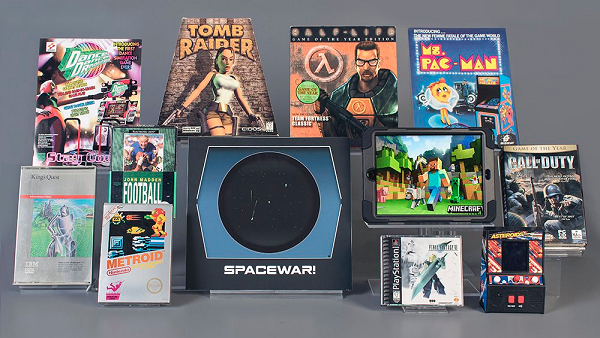 New this year, the World Video Game Hall of Fame is inviting gamers to weigh in on inductees. Online balloting closes April 4. Jon-Paul Dyson, director of International Center for the History of Electronic Games, says the finalists span decades, countries of origin, and gaming platforms. They can be electronic games of any type — arcade, console, computer, handheld, or mobile. “But what they all have in common is their undeniable impact on the world of gaming and popular culture,” Dyson said. To be recognized, games must have proven their popularity over time and influenced other games or forms of entertainment. Both the International Center for the History of Electronic Games and World Video Game Hall of Fame are inside The Strong National Museum of Play in Rochester, NY. Asteroids: Released by Atari in 1979, the game sold more than 70,000 arcade units. Millions more played it at home on the Atari 2600. Call of Duty: The first-person shooter game drops players into a World War II setting for a blend of action and historic narrative. Launched by Infinity Ward/Activision, the game and sequels have sold more than 260 million units since 2003. Dance Dance Revolution: Konami’s 1998 game spread from Japanese arcades, including to a home version for Sony Playstation. Final Fantasy VII: The 1997 game introduced 3-D computer graphics and other upgrades to the popular franchise. The game sold more than 10 million units, making it the second most popular game for the Sony Playstation and helped popularize the Japanese role-playing genre. Half-Life: After its creation by Valve/Sierra Studios in 1998, the game added the ability to modify the game itself, providing countless replay possibilities. John Madden Football: The 1990 reboot by Electronic Arts became a pop cultural phenomenon that has sold more than 100 million copies. King’s Quest: Sierra On-Line co-founder Roberta Williams in 1984 made her game a hit on personal computers with its unique visuals and irreverent humor. Seven sequels have followed. Metroid: Nintendo’s 1986 game introduced the first playable human female character in a mainstream video game. Minecraft: A top performer since its introduction in 2009, the game lets players in a worldwide, online community build elaborate structures from pixilated blocks. Ms. Pac-Man: Midway launched the follow-up to the Pac-Man arcade game in 1981. It became one of the five best-selling arcade games of all time. Spacewar! was created by members of the Massachusetts Institute of Technology Model Train Club in 1962 on a mainframe computer. It’s credited with helping launch the multibillion-dollar video game industry. Tomb Raider: The 1996 game and its protagonist, Lara Croft, inspired movies of the same name featuring Angelina Jolie and, more recently, Alicia Vikander. What are your favorite games? Leave a comment!